Home Tags Posts tagged with "Block buster hindi films 2014"
If last year saw the emergence of new talent on and off screen and enthusiastically embraced new independent voices, 2014 remains disappointingly ambivalent. There were a few blockbuster hits (Kick, Happy New Year, Bang Bang), a few disasters (Humshakals, Action Jackson) and a few that captured the collective imagination and touched a chord with critics and audiences alike (Mary Kom, Queen, Haider). (Please note: This list was compiled before the release of Anurag Kashyapa��s Ugly). 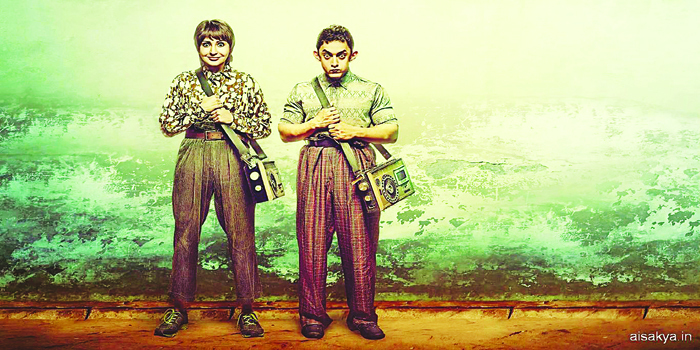 PK: Raj Kumar Hirani proves again that he is a master storyteller as he directs Aamir Khan as an alien trying to understand the complexities of earth and the distinction between faith and religion. Satirical, humorous and poignant. Haider: Vishal Bhardwaj completed his Shakespeare trilogy with this adaptation of Hamlet, starring Shahid Kapoor. Bhardwaj creates a unique world, including the layered character of Ghazala, played by Tabu. Children of War: Mrityunjay Devvrat goes back to nine months prior to the formation of Bangla-desh. A gutsy, compelling reimagining of the horrors of war, it chronicles a very important chapter in the history of sub-continent. spotlights critical issues such as child trafficking by basing his no-holds-barred film on the true story of 13-year-old Lakshmi, sold by her father to a pimp. Miss Lovely: Ashim Ahluwaliaa��s visceral treat is set against the backdrop of the 1980s C-grade film industry where this story of sibling rivalry, romance and crime unfolds. Hawaa Hawaai: Amole Guptea��s film is a thoughtful, delightful, charming and optimistic underdog story set in a sports arena. A chai stall child worker takes up inline skating and sets his sights on the trophy. Finding Fanny: Homi Adajaniaa��s dysfunctional Goan characters embark on a quest to find Fanny. A heart-warming story about second chances with stand-out performances by Pankaj Kapur, Deepika Padukone and Dimple Kapadia. Queen: Vikas Bahla��s Rani captivated audiences as she took off on a solitary honeymoon to Europe, after being jilted. Kangana Ranauta��s vulnerable side is juxtaposed with Lisa Haydona��s carefree attitude in this coming of age film. Mary Kom: Omung Kumar directed Priyanka Chopra in and out of the boxing ring as she embraced the role of world champion pugilist, Mary Kom. The underdog story of determination, willpower and talent was a complete knockout. Citylights: Hansal Mehtaa��s official remake of Metro Manila explores how the pursuit of a dream can lead you to a dangerous place. Rajkummar Rao, Manav Kaul and Patralekhaa bring alive their characters. The songs are winners too. Dekh Tamasha Dekh: Feroz Abbas Khan takes a true story set in a small town and uses satire, wit and humour to weave in complex and layered comments about the absurdity of Indian society. Sulemani Keeda: Amit Masurkara��s slacker comedy is a refreshing and amusing satire on the world of struggling writers. Well acted and equally well written, its youthful irreverence is entertaining. When a stranger arrives in the city, he quickly gains a reputation for startling innocence. But the questions that the mysterious PK (Khan) asks forces people to re-think their long-held assumptions, gaining him both fast friends and steadfast enemies. A story that ultimately boils down to the friendship between Jaggu (Sharma) and PK, this is a gentle movie that lives up to expectations without being over showy. Romance blossoms between small-time crook Vishi (Devgn), and HR executive Khushi (Sinha). But their relationship takes a complicated turn when the police and an international don are on the lookout for professional assassin AJ, who looks like Vishi. Poor direction and mixed plot makes for a movie that fails to entertain. Having reclaimed their homeland from the Dragon Smaug, the Company has unwittingly unleashed a deadly force into the world. Smaug rises again and then screens are engulfed in smoke, blood and gore. 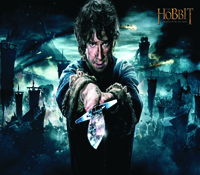 While Bilbo (Freeman) is seen fighting for his life, only Gandalf (McKellen) sees Sauron rising too. Phenomenal effects, action and a hint of emotion, make this one the best of the series.